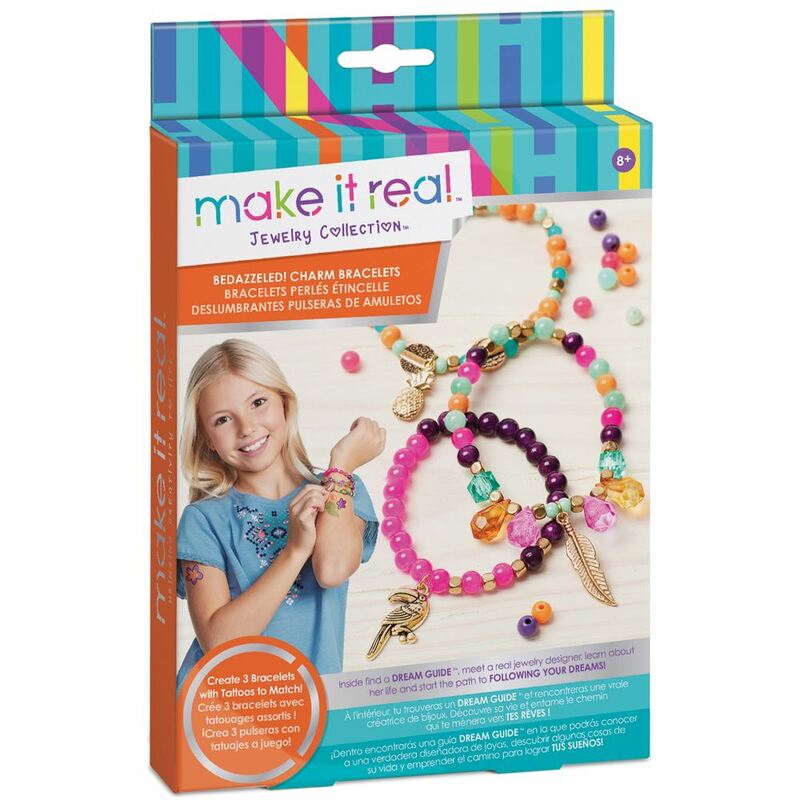 Budding bracelet designers can get their start with this DIY Graphic Jungle charm bracelet kit from Make It Real. Mix and match the assortment of beads and charms to make up to 3 beautiful bracelets. Also includes a full tattoo sheet to match the bracelets! Includes: elastic thread, 104 fashion beads, 3 charms, 3 jump rings, temporary tattoo sheet, instructions and a dream guide. Age 8+ years. Part of the Jewellery Collection. Distributed in New Zealand by Holdson.